That is a lot of impact! More on the business model that creates all these benefits can be found below. 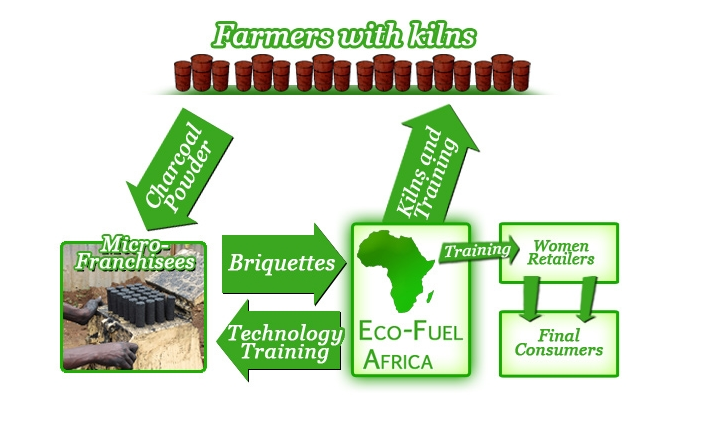 Learn more about Eco-Fuel Africa social venture from their website (Click here) or from a YouTube video (click here). Until December 12 you can use your phone to help fund Eco-Fuel toward sef-sufficiency or fund other Tech Museum Laureates. For info on how to fund other Laureates by phone through the Tech Museum between now and Dec 12: Click here.